An estimated 10 000 children, as young as twelve, are currently working as prostitutes in Johannesburg - and the number is increasing. 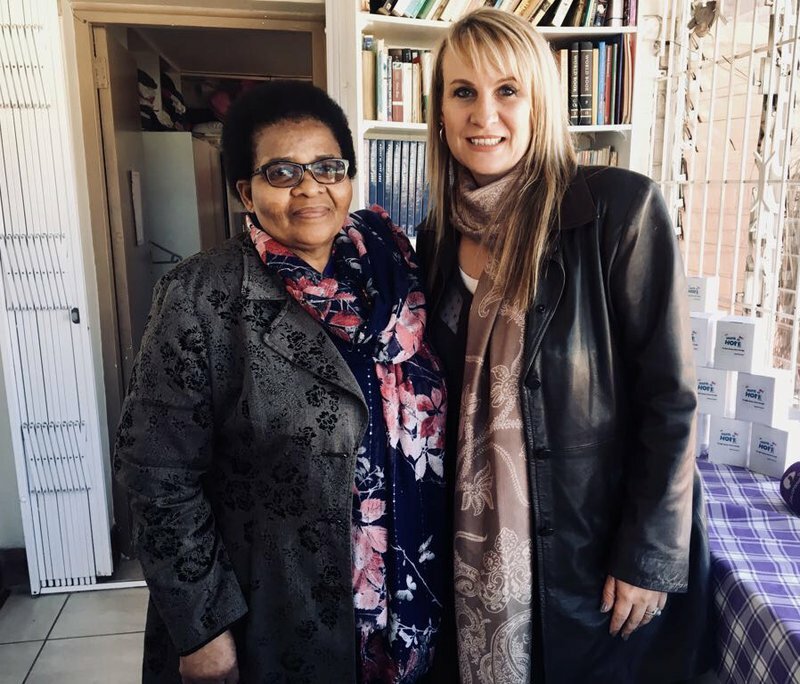 Founded in 2000 by Khanyisile Motsa, and run under her diligent care ever, Home of Hope for Girls is an autonomous, self-started initiative to provide real care for exploited, trafficked and abused children in the city of Johannesburg. It is more than just a residential shelter; it is a loving home where dignity is restored, the past is healed and the girls are given the tools to take control of their futures. Home of Hope also reaches out to the community offering the most vulnerable members support, practical help and a lifeline. Over the past 18 years, Mam’Khanyi has saved 8 000 girls from a life of forced prostitution and drug peddling on the streets of Johannesburg. According to Mam’ Khanyi, most of these girls are orphans or “unwanted” children with no care, lured to the city by unscrupulous agents for pimps and drug-dealers. Currently, 40 girls are in Home of Hope Kensington’s care. The house was donated to Mam’ Khanyi by FNB, but paying the municipal bills and providing food, school transport and everything else a growing child needs, is a monthly battle paid by donors and the income they home raises by selling home baked goods and candles. A team of volunteers, individuals and companies have been the primary support for Mam’ Khanyi and Home of Hope. Home of Hope works towards a safer and more beneficial neighbourhood for the young people who live there. This means creating an environment where the pimps and drug-dealers no longer rule the streets. They work closely with the South African Police Services and other welfare organisations to root out intimidation and abuse. They also provide immediate relief for children at risk and set in motion legal action for those posing the threats. An integral part of Home of Hope’s rehabilitation programmes is ensuring that each child in their care receives an education and/or skills’ training that will enable them to earn a living without being dependent on exploiters for food and shelter. This way, many young girls have become self-supporting and contributing members of society. On Wednesday morning, two of these remarkable young women, will share their story on Good Morning Angels on Breakfast with Martin Bester. Both girls were “saved” from the street life by Mam’ Khanyi when they were 13. One completed her LLB in 2015 and is now working for a big JHB firm and the other is completing her honours degree in Econometrics, after last year obtaining her degree in mathematical science.